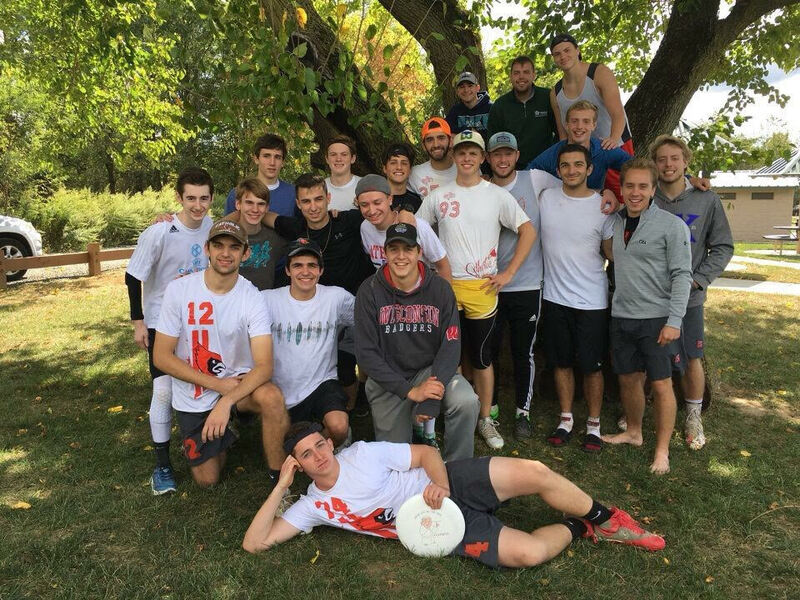 This past weekend the Men’s Ultimate Frisbee team, dubbed Bad Habit, had its first tournament of the year in Mercer County, New Jersey. The “Jersey Devil 6 Tournament” fielded both men’s and women’s teams, but the CUA team was a part of 18-team deep men’s field. For the rookies of the team this was their first exposure to real competition and real game speed. Going into the tournament the team was not too sure what type of performance to expect from a relatively inexperienced group which has 10 rookies out of the 23 men who played in the tournament. Despite this uncertainty, team president and cutter (the equivalent to a wide receiver in football) Chris Gillie was confident in the green rookies going into the tournament. “We were impressed with how many people have stuck around. They all throw around with us when we throw, and make the effort to make it to practice when we have it so we knew that they were dedicated and they gave it 100% at the tournament and it showed,” Gillie said. Saturday was pool play for the tournament, where the team played three games. Despite its high energy play and determination, the team lost its first game to Princeton by 1 point, 11-12. The next two games were against more seasoned teams, and the team would finish the first day 0-3, putting Bad Habit into the consolation bracket. The tournament was set up that the top 12 teams would go on to play in the championship bracket, meaning the team could hope to finish no better than 13th. Despite the circumstances that would disappoint most teams, the CUA team viewed this as an opportunity. The rookies still had a chance to get better and learn more with every point, and the team was also hungry to get their first win of the season. Not only did this provide the right mindset for the day, but also provided the motivation to propel the team to three straight wins over Stevens, Westchester, and Haverford. The strong day won the team the consolation bracket, but it was not with ease. Each game was decided by no more than 3 points, and the consolation championship game was won on the final point. When asked about his feelings on the day, senior captain James Walsh was impressed with the team’s mentality, as well as the newcomers’ contributions. “We not only showed mental resilience, we showed great skill and strategy as well. The rookies exceeded all expectations and each played a key role in keeping us in the games and allowing us to pull out close victories,” Walsh said. Before the tournament began on Saturday, Bad Habit was ranked 16th of the 18 teams in the field. They finished in 13th place due to the bracket win, not only breaking seed but showing resilience deep within the young team. Catholic returns to action next weekend, beginning October 7th, in a tournament at the nearby University of Maryland and hopes to continue their climb upward as they prepare for the spring season. Next → Next post: First CUA Drama Show Opens this Weekend!